Here are the cookies we make every year for the Christ mas Gathering at the shop..my Mom makes about 20 dozen… she leaves some plain and some she dips in white chocolate…I promised several people I would share this recipe…it is that good. 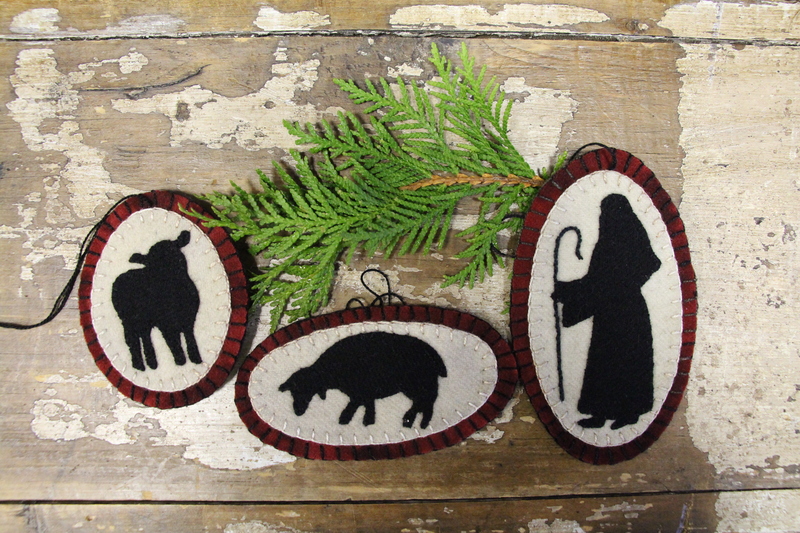 Now my project…Oh Holy Night…Here are 4 ornaments…you could just make the manger scene… but the Shepard and the sheep are a set!!! These are very simple ornaments, but the statement is BIG…I hope you love them as much as I do…This FREE pattern has been removed and will now be offered in my newest book Christmas Gatherings out April 2016! A special THANKS to Stacy at Buttermilk Basin for organizing all this fun for YOU the best customers/supporters/stalkers…(that last one was for you, Sue in GA) in all the land!!! And isn’t this a GREAT year! Every designers project was AWESOME!!! I wanted to make them ALL myself! Take care my friends and see you when I see ya…come to CA…See what we’ve got going on! Previous Post 10th Anniversary Stitch Along…Part 6…Last one! I’m not able to click on and access the off file. Congratulations on your new store! That is so exciting. I will be praying for your family during this holiday season….Merry Christmas! Thanks so much for the cute ornament patterns & yummy recipe. Love the blog hop! Congratulations on your new store! Sending prayers to you & your family during the holidays. Best wishes for this holiday season. A BIG Congrats on your CA venture! You are absolutely AMAZING! Hugs to you and Nick! Lisa, congrats on the new store. I know it will be a big hit in CA. Prayers and thoughts are with you and your family during the holidays this year. It will get easier but it also takes time…I lost my Dad during the holidays several years ago, so I know what you are going through. Your ornaments are wonderful and will definitely be made for our tree next year. Again, thanks for all you do for us and keep strong. Lots of news in your post, Lisa, but I had to smile when I read your cookie recipe you shared. I just made the exact cookies this week. This must have been a favorite that had been handed down. I am from NE, and this was my grandmother’s recipe. We LOVE those cookies (and even when it isn’t Christmas). Merry Christmas to you. Absolutely love the O Holy Night ornaments. O Holy Night was my dad’s favorite Christmas song, and I still tear up when I hear it. It did not go unnoticed that Lance’s ecru was used in this project. Keeping you in prayer. Merry Christmas!!!! Thanks so much for the cookie recipe! I’m going to a cookie exchange next week. Will give this one a try. Enjoy your cruise! Love and prayers your way! Take care! You have every right to pass this year…..everyone’s thoughts and prayers will be with you during this time. Congratulations on your new store! I always visit (and purchase) your booth in Houston at Festival. For the first time, I ordered online and love your patterns and fabrics. Hope you have a wonderful vacation! A plain evergreen is a thing of beauty, enjoy it as it is and never apologize for how you feel, it’s who you are right now and that is ok. I cannot imagine this holiday being merry or bright for you and I applaud your ability to get up every day and not only put one foot in front of the other, but to pursue your life’s work with so much passion! It’s astounding how much you accomplish in a day, a week, a year! I’m looking forward to your twelve days of Christmas…taking my mom to the casino tomorrow and if I strike gold I will buy two of everything! 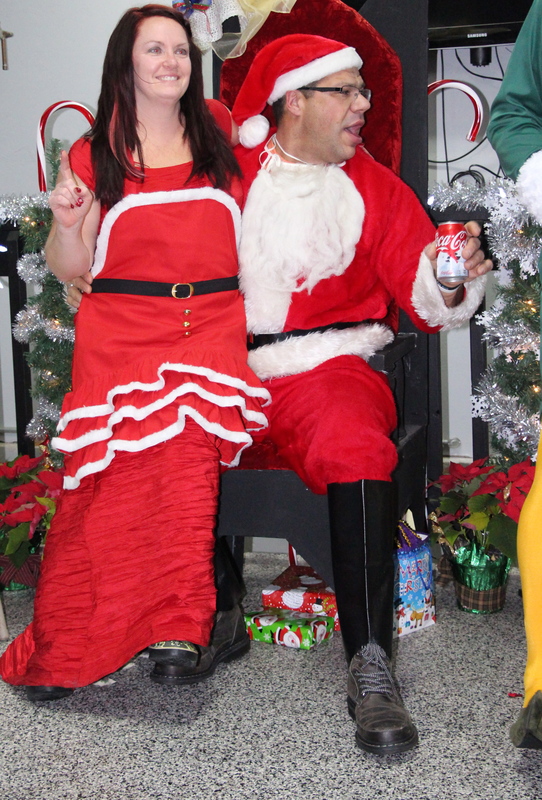 Thank you for all you share with us…including your holiday party pictures! I echo what Carol says–no need to apologize. Grief is a process and a journey. I think of you every Sunday when we do prayers for the people at church. There just are no words for a loss like yours. Take care of yourself. Love your ornaments they are perfect and how do you make it snow on your page it is really cool. have a very Merry Christmas and can’t wait for your new store. OH.MY.GOSH!!!!! I am so excited about the news of your California store!!! My daughter lives there, so I know I will get to take advantage of classes! Merry Christmas to us out west! O Holy Night is perfect! What a beautiful way to end this fun blog hop. And ditto to Carol’s sentiments. She said it beautifully. Merry Christmas and Welcome to California! Thank you so much for sharing this wonderful design with us and I wish you the peace that passes all understanding this Christmas. Don’t feel bad about not decorating your tree. There have been a few years in my home where we got the tree up and put the lights on and called it good. I have been wanting to make Molasses Cookies this year myself so this recipe comes at the perfect time. Thank you! BUT, I am concerned about the measurements in the recipe and need to confirm with you these measurements are actually correct. The Vanilla, Cinnamon, Ginger, Soda, and Salt all show using 1 T which is a Tablespoon. Is that really the correct amount or should those all be 1 t (teaspoon)? A tablespoon of those ingredients sounds like an awful lot, especially the salt, given there’s only 2 cups of flour. Great. Thank you. I’d love to put this recipe on our list for shopping today but I’ll keep checking for your update since you aren’t home right now. I have wanted a tried and true recipe for these cookies and I figure if these have been made in such great quantities, for so many years, then this must be the recipe I need to make. I thought the same with the T (Tablespoon) for this recipe. I will keep watch for an update. Thank you very much! Thoughts and prayers for you and your family this Christmas Lisa. Hugs to all of you! Don’t worry about your Christmas decorations, do what you want. My son died 12 years ago. He was 29 yrs old and had cancer. He lives 10 months after he was diagnosed. The first 2 years after his death I did not put up a Christmas tree and very few decorations, only the nativity set. I didn’t care what people thought, they had not lost a child and could not imagine what that was and is like. The only reason now that I decorate is because I have grandkids. Take care and God Bless You and your family! You definitely deserve a “pass” this year. ..and every year will be different. Enjoy your vacation. Have fun in California too. I live in Oceanside and so excited you are coming to So. Cal. I send you the warmest thoughts as you work through this holiday – we almost lost our daughter to severe depression last summer – she is better now and I am so grateful for that. Those of us who have lost loved ones understand completely and it is okay. I pray that you will be able to enjoy Christmas. Your little ornaments speak to what it all about. Merry Christmas and have a great vacation. Thanks so much for sharing the recipe. I was having the last of my molasses cookie with my coffee this morning wishing for more!! I have given myself permission to do only what I am able each year. And you’ll be relieved not to have to pack it all up after Christmas. Have a Merry Christmas!! I could print the pictures but not the pattern ! Oh well I’ll just trace the picture and do it from there !!! Lisa, good luck on your new adventure and have a safe and wonderful Christmas and New Year ! Love seeing all the posts, so do keep up with it and we all would like to see lots of pictures of the new store ! Yahoo ! You’re coming to California, more precisely, Murrieta. Since I live in Murrieta I’m sure I will be a frequent visitor – can’t wait. Hugs to you and your family during this Holiday season. Thanks for the recipe and pattern. Dear Lisa…. 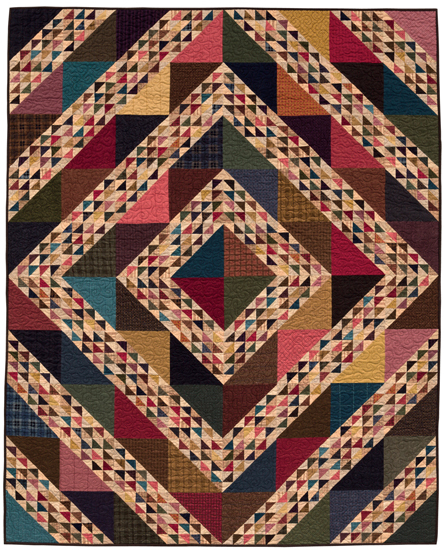 I have been ‘with’ you since your Backyard Quilt days and as they say, ‘you’ve come a long way baby’. I’ve laughed and cried with you and have been so happy for your successes…among them, becoming a Moda designer and now a new California shop! Wow! I see a strong gal who has weathered much. 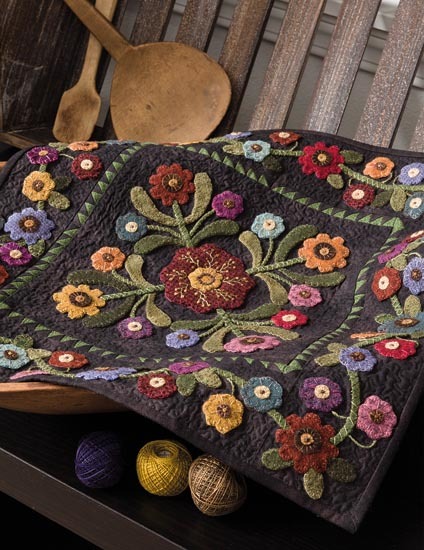 I take my Lisa’s Flower Garden quilt and wrap you in a Christmas hug. Just… THANK YOU, Lisa. Lisa, I totally understand and please know that I’ll be praying for you all. I can’t wait to see you in Murrieta. WOW, We are so lucky that you are coming to California. My prayers are with you this season and always. I love that you are opening a new store. I’m in Minnesota so it’s not a benefit to me but the fact that you are expanding is fabulous! You may not realize it, but the example you set is a great strength to many people who follow you and enjoy making your designs and hearing about your life. Thanks for the ornament designs. 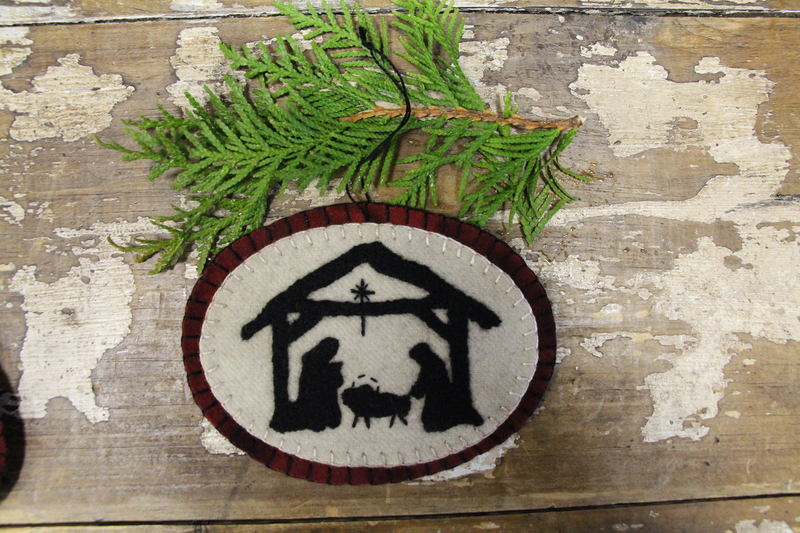 I especially like the manger scene and will get it done this year for my sister who has a major collection of them. Enjoy your holiday and the very best of luck with your new location. Merry Christmas and a peaceful and blessed New Year. Congratulations of realizing your dream and hang in there for the holidays. It’s a transition time … look for the new traditions and only hang on to what makes you feel good. Every day and the holidays especially are about enjoying the good things — don’t force them. Thanks so much for sharing your talents with the world and inspiring others to make beautiful things. Peace. I love molasses cookies. Thanks for the recipe and pattern. Merry Christmas. Thank you for being real. I only know from a sister’s view, as I was with my mom when my brother was in a vehicle accident and passed away too early in life. We never forget and I thank God for carrying us through the ruough spots. Stacey said it well, know you are loved and receiving hugs it only virtually and in spirit. I was blessed to be able to attend last years Road to CA. In your booth I heard a voice – and knew it was Dru! Excited! I learned she was now working for you. Excited! 1 Primitive Gathering + 1 Dru could only = 2 Exciting things to come. Yes, a store in Murrieta! When? When? When? Is opening day! 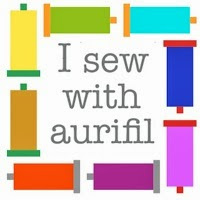 I want to be off, sew I can be there and not stuck at work! Sew blessed. Lisa and your sweet husband, your family, have a Merry Christmas! Much deserved vacation to build on each other, sunshine in CA! See you on opening day!! Lisa, Thank you for the lovely patterns, perfect for real meaning of Christmas. It also will be a hard time for our family, as we lost a grandson (22) on Christmas morning last year. My daughter is not doing Christmas at her house, no decorations, tree, etc. Her and husband will be going to another daughters for Christmas as there is 2 little grandchildren who wouldn’t understand. (they live in Fl) I put up our decorations/tree because we had grandchildren move here this year. (Oregon) I will have a smile and laugh but my heart will be sad. As you know there are good days and bad. Blessings to you and your family. Praying for a peace and love filled Christmas for you. A store here in so Cal???? You just made my day Lisa!!!! Wow, Congrats on the new store. That is very exciting!! I appreciate your honesty about how the holiday is for you this year. I’m sure that you being real about it helps others who have dealt with similar sadness. Your cookie recipe is one of my absolute favorites! I can eat a whole batch myself, which is why I rarely make them unless I am taking them to some event. Your ornaments are spot on! Thank you for designs that share what it is really all about. I see you will be back in Utah next year–oh, I wonder if I can make it to that? Thank you so much! Love you designs and look forward to taking a class from you this coming summer! Thanks for designing ornaments about the real Christmas! Good luck to you in all your new adventures. God Bless you and your family this Christmas! It is very courageous of you to share your heart with us, I pray for contiued comfort and strength as you all live this very painful life experience! How exciting for all of you and us as you expand! I am thrilled! Thank you for sharing “Oh Holy Night and your scrumptious cookie recipe! Merry Christmas! Lisa, Thank you for the truly meaningful ornaments this year. This is what we all need to focus on. May the Lord be with you and your family through this season and days to come. 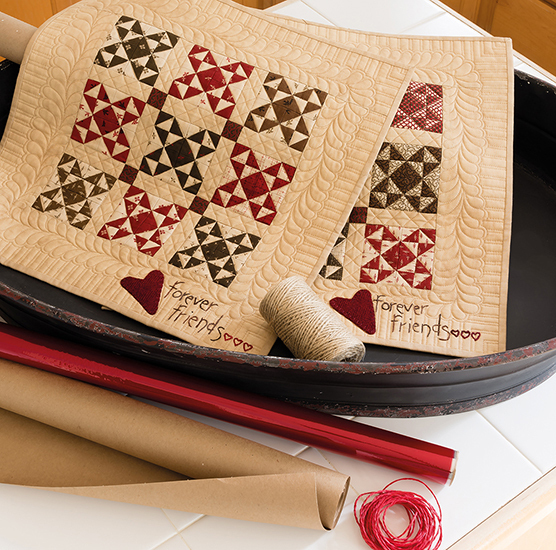 I just purchased your Triangle Gathering pattern to make for my husband and I. Am very excited about your new line of triangle paper. Thank you for all you give. Lisa, FIRST: I can only imagine the pain in your heart about Lance, I have never had children (well at least 2 legged ones) so I don’t know what your going thru but I know it has to HURT like a “b” I cry each time I read your post. So, since I don’t know I offer just a cyber hug for now and when I see you in person I’ll give it to you! I’m keeping you in my prayers to make it thru this, I would think this would be the hardest year since when it happens your in shock and now your in the deal with it reality phase. SECOND: There is no rule you have to decorate, and what constitutes “decorated”; this year I put up my mini tree that spins around and lights up with fiber optic lights that I got years ago when I was in the Air Force (it’s seen plenty of dorm rooms thru my travels), I fluffed it, plugged it in and called it DONE! THIRD: I was so excited when I read the first part of your post I was doing my “Happy Dance” in my Jammies… ❤ ❤ the new shop is near enough for me to ride/drive too!!! Yep I probably will have to take the car the first several times since I'll be doing my best to help you reduce the inventory and loading up on my PG stuff!! FOURTH: Molasses cookies, are one of my very favorites so I'll be making a batch of these… It rocks that your mom makes 20 dozen for your Shop party, she must be where you get some of your energy because I realize making 7 batches of cookies is no walk in the park! Thanks again for the AWESOME ornies! See you soon!!!! 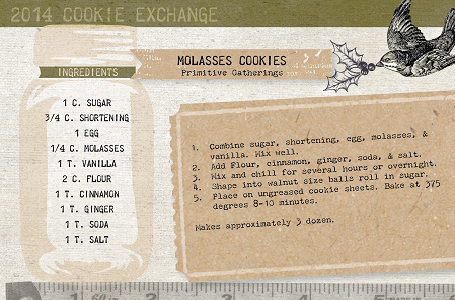 I can almost smell the molasses cookies–they remind me of my dear departed mom. Oh Lisa these ornaments are the perfect reflection of the Christmas season and just what I’ve been looking for without realizing I was looking for them! Now I’m in a rush to dig out my wool and get busy. I wish you and your family peace this Christmas – and it sounds like you’re working hard to have a very happy new year with the new store. Enjoy your vacation and rest up! Thanks always for the inspiration you share with us all. Thank you for the wonderful ornament patterns. I am going to enjoy making them all. Congratulations on your new store and best of luck. YEAH!! All kind of rumors (facts) were flying that you were opening a store here in Murrieta. Do you have an approximate opening date? And can you reveal the location? Looking forward to it. The ornaments are beautiful – so simple but elegant. Thought and prayers are with you this season. I’m thinking of you and your family during this first tough holiday season without Lance. There have been so many memories about him posted by friends- he is always with you. Take care, you are a strong beautiful woman! Congrats on the new store in CA now we have a reason for a road trip West!! Welcome to California Lisa, so glad you are coming….. There are no words to ease the pain of losing a child and I’m not so sure time eases the loss either. Our daughter suffered a stroke at the young age of 22 months. Doctors told us that IF she survived, she would be a vegetable and we should consider putting her into a state run children’s facility; we were young enough to start a new family! We didn’t do as the doctors advised — AND she didn’t understand that they were basically telling her to ‘give up’ either! That was 39 years ago. She’s become an amazing young woman — gorgeous, compassionate & strong-willed. She’s married & leads a productive life. I still relive the day she entered the hospital not knowing what laid ahead and then 10 days later when she had her stroke. I still spend more time than is probably advisable weeping & give her an extra big hug every time I see her. So, I can’t image the weight of sorrow your heart is enduring. When you shared your son’s story with us at the Des Moines guild last summer & then we had the chance to sit & visit before the evening meeting started, I thought to myself that I would love to have you in my life — and for a short time, I did. Thanks for sharing your sorrow & your talents with me — I know our paths will cross again. I think I see a road trip to Menasha come Spring. . .!! BTW, Congratulations on your newest location in California! They will absolutely fall in love with you and all your wonderful projects! I know you know this . . . Lance’s life was cut short but I believe he’s proudly looking down on his Mom & wouldn’t want you to be sad. He’ll always be your special guardian angel and I’m sure goes with you on every single journey you take. When you do finally decide to decorate the tree, he will be there, too — sparkling! Enjoy your holidays with Nick and your family! I’m so blessed to have known you, Lisa!! Lisa, I’ve been following you for three years and always look forward to my emails saying you have a new post. It is like opening a present every time you post. And again when I get the packages from your shop! I have thought of you, Lance, and your family many times in the past year. Prayers and hugs for you this holiday season and the coming new year with all your new ventures!